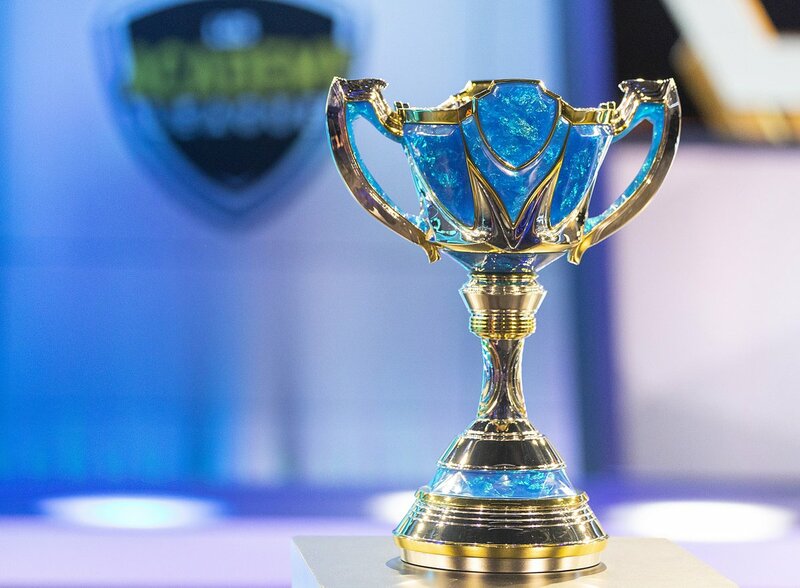 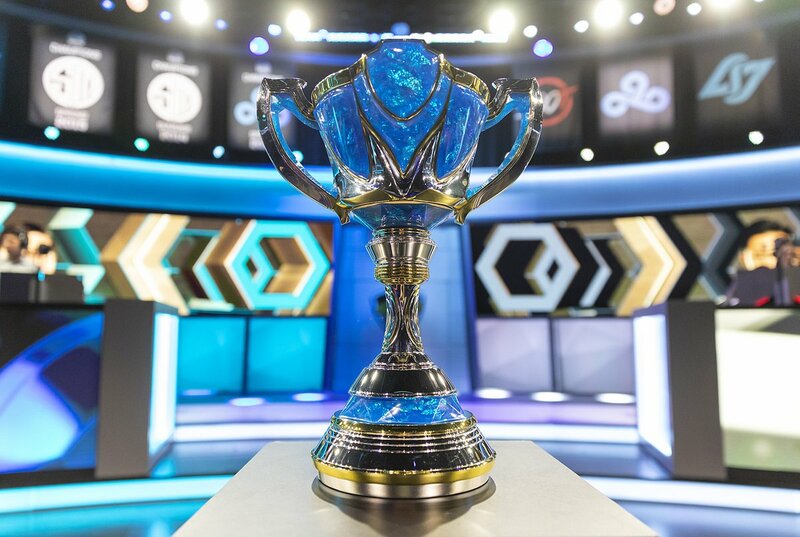 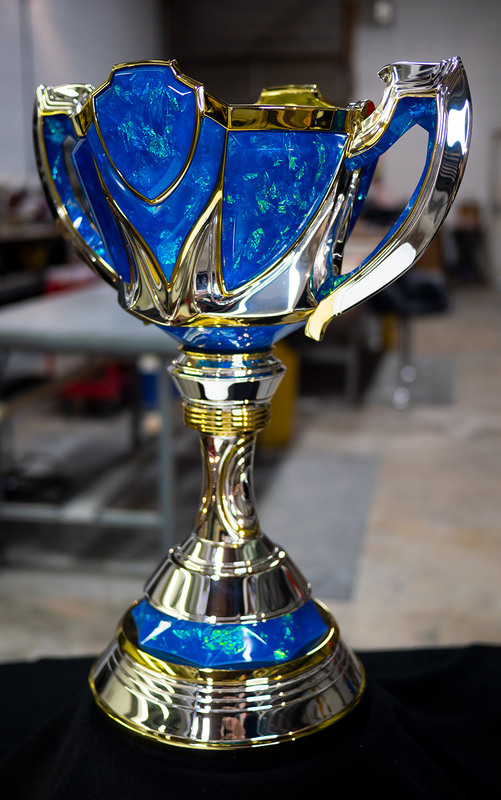 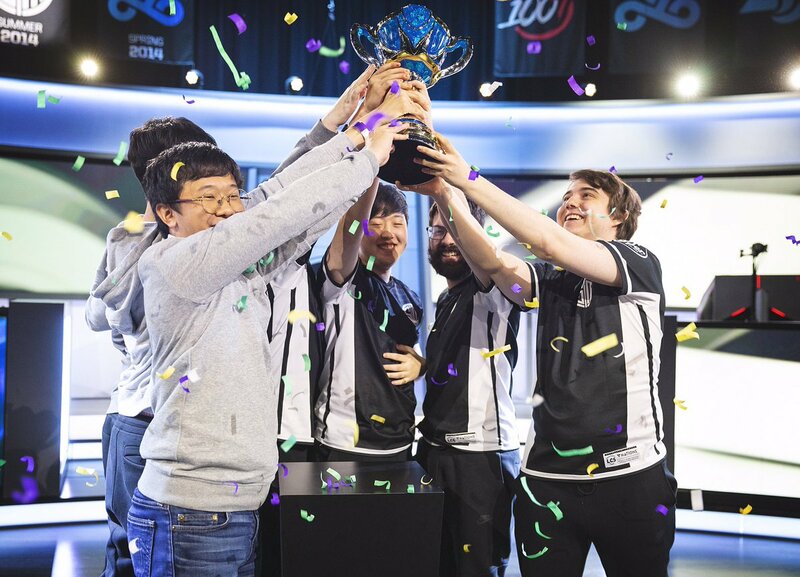 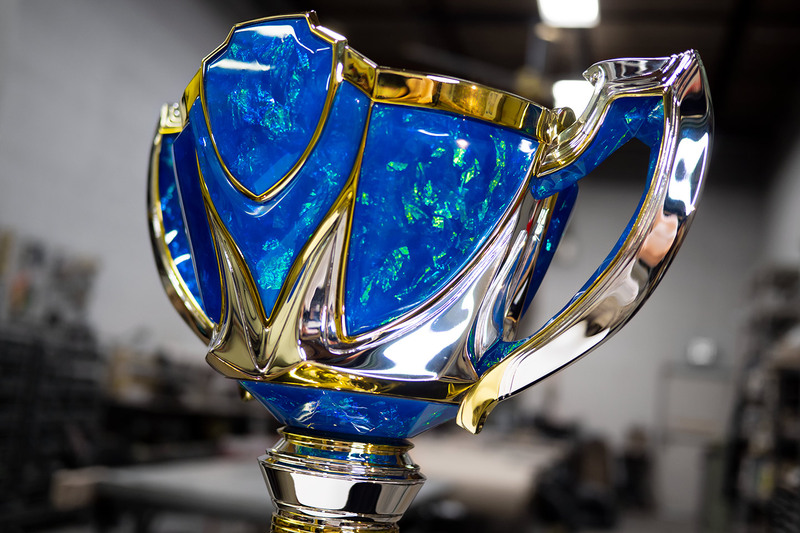 Following our projects for the LCS Championship trophies and multiple winner’s trophies, Riot Games approached our studio with a request for their Academy League tournament – an event which allows the solo players to play in a tournament environment with new teammates before proceeding to larger tournaments like LCS. 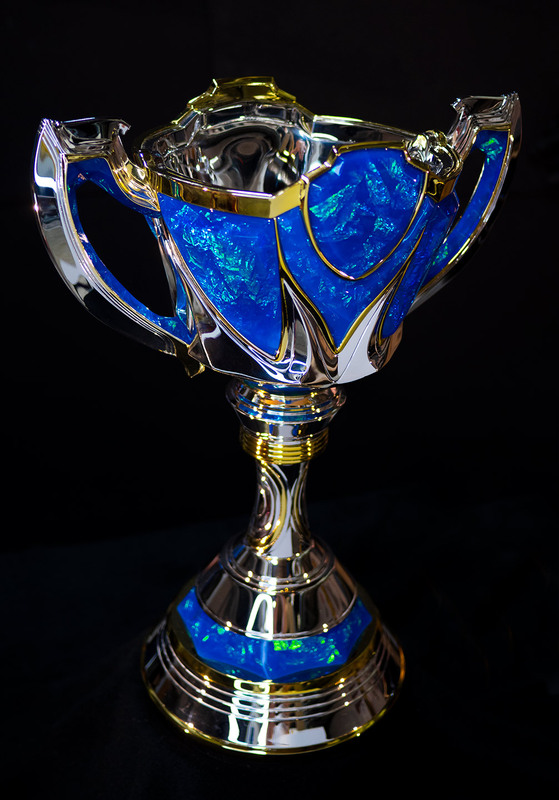 This award was created to emulate the style of the shield logo and silver/gold/blue treatment of the Academy League logo. 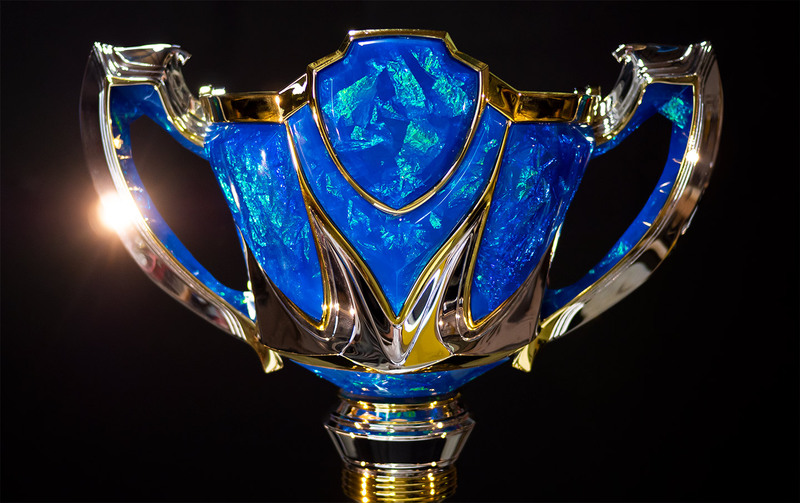 The shield shape is reflected in the front and back of the cup – placed high and in the center as the main focal point in the piece. 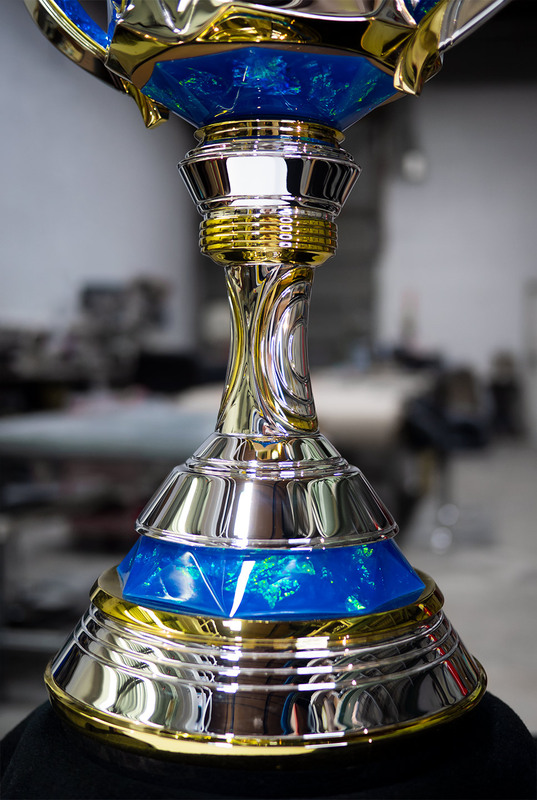 Silver chrome plating was applied for the highest possible stage shine, with gold accents masked out in candy clearcoat to give the shape depth and delicate filigree. 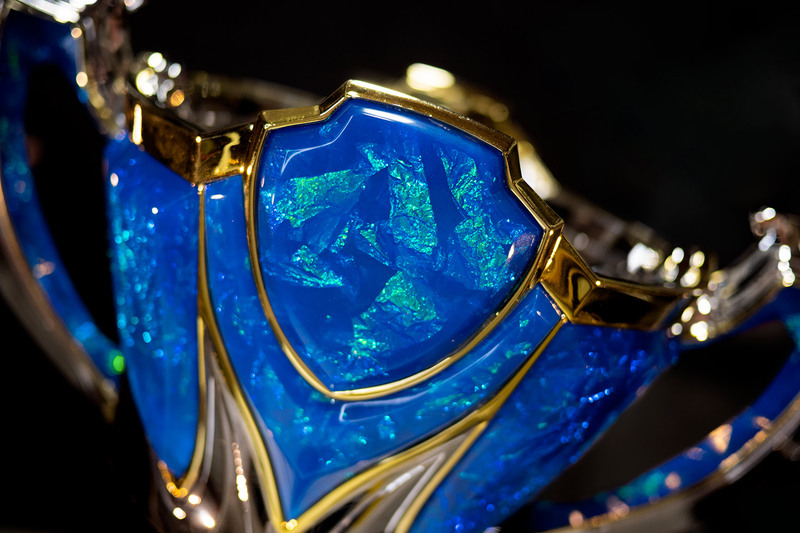 The blue gems were a unique casting process developed specifically for this award; each is unique – transparent and reflective, providing a deep blue accent. 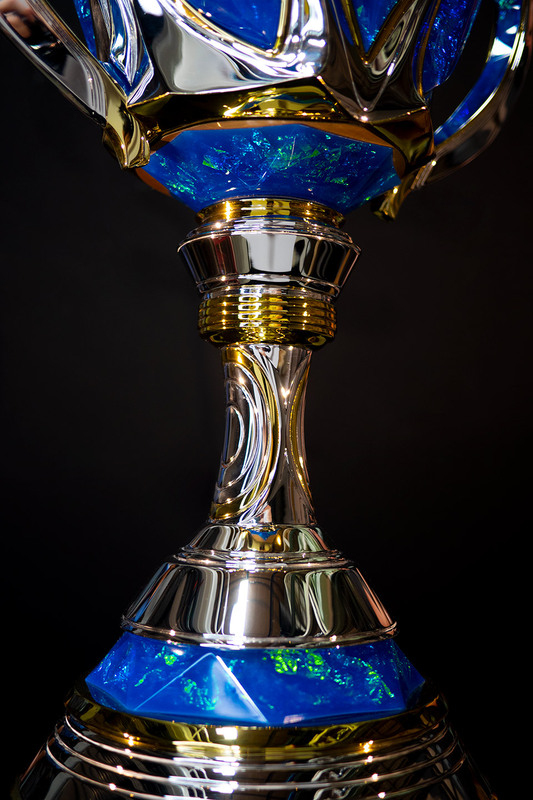 In varied lighting the inset opalescent foil will shift from deep blue to a seafoam green. 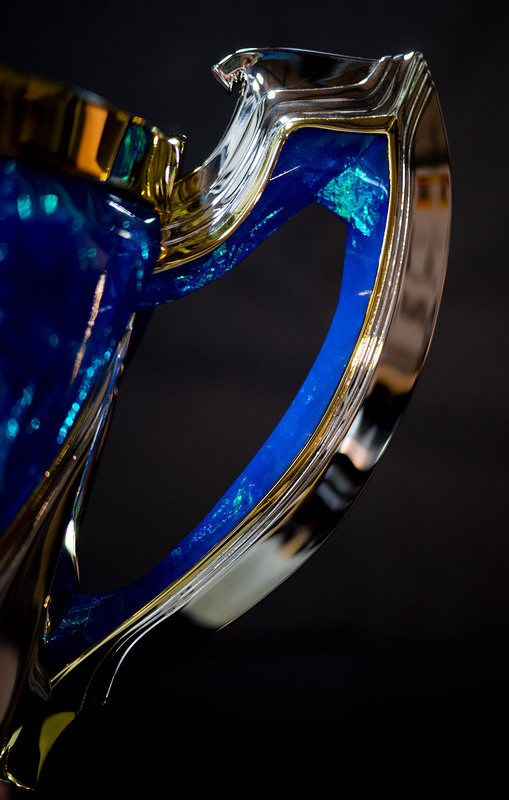 The final piece stands 20″ in total hight and is composed of seventeen individually cast and sculpted components. 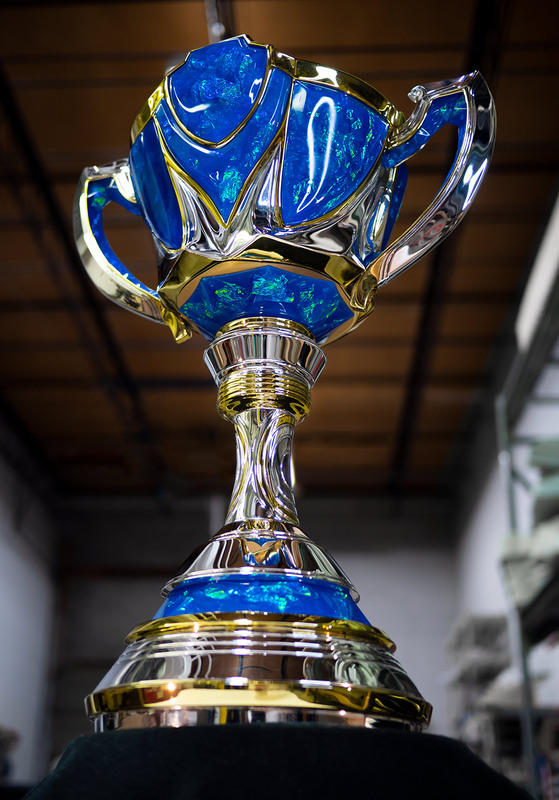 Completed in just three weeks, this piece has set a new benchmark for us at Volpin Props, both in terms of precision and speed.